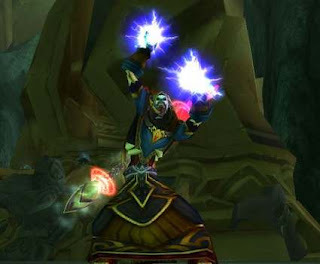 Awesome way for a mage to use blink and explore the New MoP zones and anywhere else. First you will need the glyph Momentum. Now to explore that area you need to find a spot with a cliff or a drop off, slopes do not work as good. Apply slowfall, then blink over and you will continue to move at 100% speed. Awesome way to see some new beta areas. Does not work everywhere and you might get portaled out. oh yea this is sick! sounds kinda like how someone got into parts of the diablo 3 beta that weren't out yet!